JUVÉDERM VOLLURE® XC is an FDA-approved hyaluronic-acid (HA) dermal filler that is specifically formulated to treat moderate to severe facial wrinkles and folds. This next-generation product from the JUVÉDERM® family contains advanced VYCROSS® technology, which allows it to provide longer-lasting volume and tissue support than traditional HA fillers. When injected along the smile lines and nasolabial folds, JUVÉDERM VOLLURE® XC produces smooth, soft, flexible results that can last up to 18 months for most patients. Plastic surgeon Christine Petti, MD has had great success incorporating JUVÉDERM VOLLURE® XC into her practice and many of her patients are extremely satisfied with the youthful volume the product provides. Dr. Petti often combines JUVÉDERM VOLLURE® XC with other fillers and BOTOX® Cosmetic to beautifully restore diminished volume and smooth wrinkles for a completely rejuvenated look. What are the Benefits of JUVÉDERM VOLLURE® XC? JUVÉDERM VOLLURE® XC bonds with moisture below the skin to plump tissue and smooth the appearance of moderate to severe wrinkles. The long-lasting formula can be especially effective along the nasolabial folds, which can form between the cheeks and the upper lip as the face ages. The strong molecular bonds of VYCROSS® technology enable JUVÉDERM VOLLURE® XC to remain cohesive and provide lasting volume for up to 18 months, which is longer than any other dermal filler designed to fill wrinkles and creases. For added comfort during injection, JUVÉDERM VOLLURE® XC includes lidocaine, a local anesthetic, to numb the tissue. Who is a Candidate for JUVÉDERM VOLLURE® XC? Patients who are over the age of 21 and interested in a non-surgical, natural-looking solution for wrinkles, creases, and folds are typically considered good candidates for treatment with JUVÉDERM VOLLURE® XC. After a facial examination and discussion of one’s concerns, Dr. Petti can determine whether JUVÉDERM VOLLURE® XC or another dermal filler is the right choice for creating a more youthful look. Dr. Petti’s experience with JUVÉDERM VOLLURE® XC, the family of JUVÉDERM products, and other dermal fillers—and status as a masterful injector—make her extremely qualified to evaluate patients for treatment with JUVÉDERM VOLLURE® XC. What Happens During Treatment with JUVÉDERM VOLLURE® XC? Dr. Petti is a highly-qualified and experienced injector and has undergone advanced training sessions to learn about the latest injection techniques and products. Before Dr. Petti begins your treatment, she will carefully plan her injection strategy and make some markings along the skin for guidance. Next, a topical numbing cream is applied to the skin to prevent potential discomfort during the injections. JUVÉDERM VOLLURE® XC is then precisely injected into the skin through a thin needle to create the desired cosmetic effects. Some slight swelling and redness may develop after the injections are complete, but these effects typically fade quickly. Most patients are able to return to their normal activities right after treatment. The initial results of treatment with JUVÉDERM VOLLURE® XC are often immediately visible; however, the full results may be more apparent a couple of days after the procedure when any mild swelling or bruising has completely dissipated. Dr. Petti is always careful not to overfill the treatment areas and has earned a reputation for the natural-looking results she achieves with JUVÉDERM VOLLURE® XC and other injectable treatments. 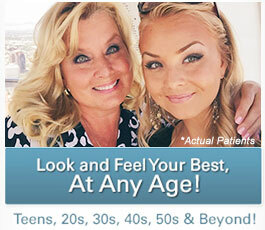 In some cases, you may opt to return to see Dr. Petti for a touch-up treatment to perfect your final results. Your new look may last between 12 and 18 months, depending on how your body interacts with the product. If you are interested in maintaining your results, Dr. Petti can advise you on the appropriate time to consider your next treatment. How Much Does JUVÉDERM VOLLURE® XC Cost? The price you pay for JUVÉDERM VOLLURE® XC is calculated based on the volume of the product used during your treatment session. The cost per syringe of JUVÉDERM VOLLURE® XC can vary from provider to provider based on the experience of the injector and location of the practice. At Spa Bella, Dr. Petti’s award-winning medical day spa, we sometimes offer special pricing on JUVÉDERM VOLLURE® XC. During your consultation, Dr. Petti can provide you with an estimate of how much JUVÉDERM VOLLURE® XC will be needed to achieve your goals, as well as our current product price. 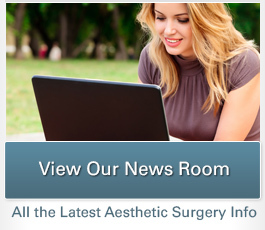 If you are interested in plastic surgery financing options to help with the cost of your treatment, we work with several third-party lenders who provide flexible payment plans and low interest loans to qualified applicants. Wondering if JUVÉDERM VOLLURE® XC might be right for you? We encourage you to contact our office to schedule a consultation with Dr. Petti.